Economy hard rubber brayer with plastic handle and a fixed metal core. 4 in. wide. Speedball's Incredible Inkable Brayers are great for signmaking, printmaking, memory albums and scrapbooks, stamping, and home decor. 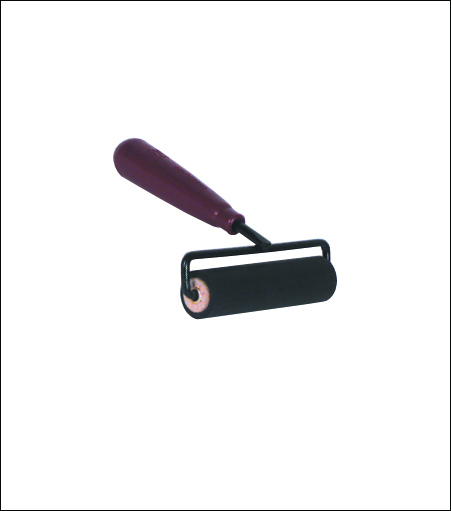 The most popular Deluxe Soft Rubber Brayer is made from pure gum natural rubber with a ground finish. It is carvable and terrific for many creative techniques.